BRABUS, the largest independent tuner of Mercedes Benz vehicles, has just unveiled their 800 E V12 Cabriolet — now the fastest and most powerful four-seat droptop in the world. 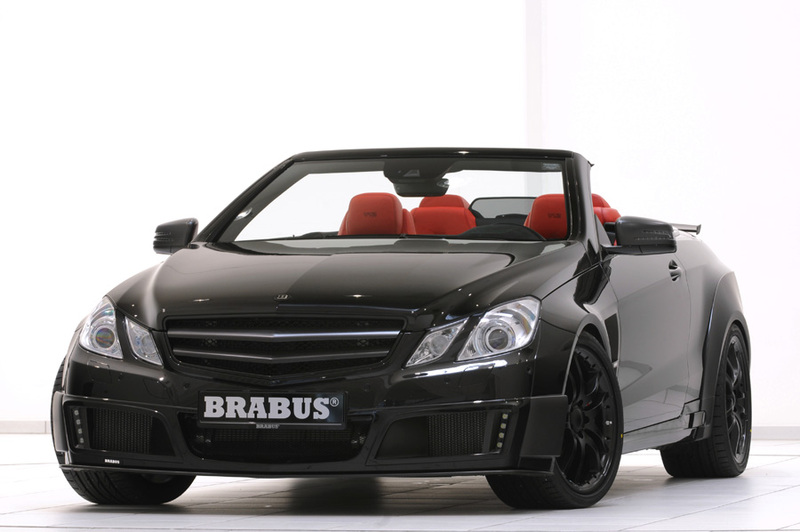 Stuffing the tuner’s signature biturbo twelve-cylinder high-capacity engine into a standard open-top Mercedes E-Class, BRABUS has unleashed a convertible monster ready to tear up asphalt the globe over. The most powerful engine in the BRABUS lineup (based on the current Mercedes S 600 powerplant) generates 800 hps, powering the vehicle from standstill to 62 mph (0-100 km/h) in just 3.7 seconds on its way to a blistering top speed of 231 mph (370 km/h). Although the V12 engine can create a truly mind-numbing 1,047 lb-ft of peak torque, BRABUS electronically limits the car to a somewhat safer, but still utterly ludicrous, 811 lb-ft of torque. What swell guys. 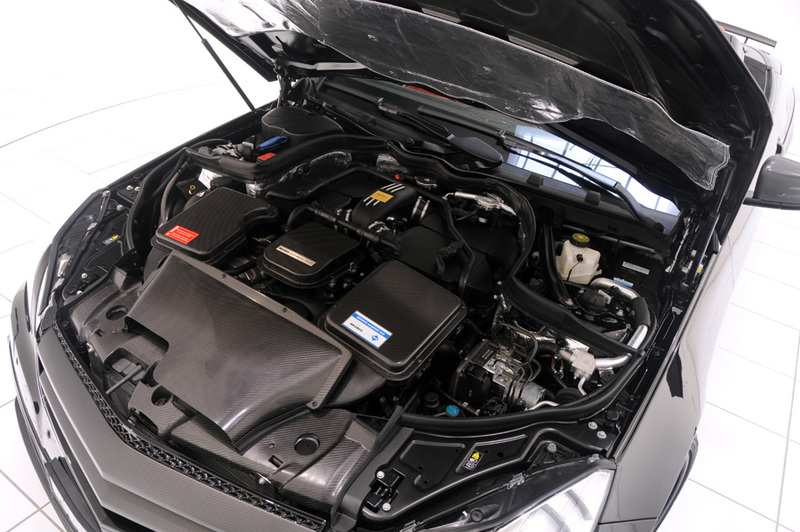 These power advancements are due mostly to two larger turbochargers (with four water-to-air intercoolers), an increased displacement of 6.3 liters (up from 5.5 liters) and a completely re-programmed mapping for the electronic engine management system. A stainless-steel high-performance exhaust system with four tailpipes was created specifically for the Cabriolet, and copious carbon fiber was used throughout the bodywork to decrease weight. The unique body kit includes a lift-reducing front apron and body-widening fenders which allow the use of high-performance ultra-wide tires for handling. With all that ability to go, you’re gonna need help to slow down — which is where the vented and grooved steel disc brakes come into play. 15” 12-piston aluminum fixed caliper brakes stop the front axle, while 14.2” 6-piston aluminum fixed calipers stop the rear. LED daytime running lights, adjustable ride height and an interior fully wrapped in lipstick-red and black leather round out the modifications BRABUS puts on its 800 E V12 Cabriolet — before affixing its $670,000 (€ 478,000) pricetag, that is.